What’s the Best Treatment for Fibromyalgia Pain? Home/Health-Articles/What’s the Best Treatment for Fibromyalgia Pain? Find out what’s really to blame for fibromyalgia pain and why prescription painkillers can make pain worse. Plus get the natural solutions for pain relief. 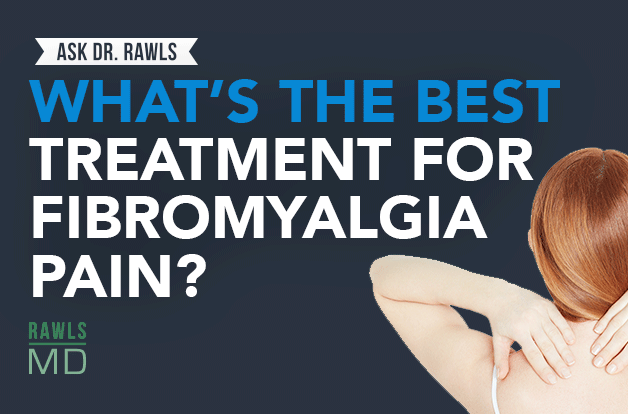 Question: What’s the best treatment for fibromyalgia pain? How do you address fibromyalgia pain? It’s definitely something that I know. I certainly struggled with it, that feeling of pain from head to toe, like you had been thrown from a horse or been in a wrestling match. And especially in my legs and my knees — it kept me awake at night, it made it hard to move. It was very, very frustrating, and it’s something that I mostly just struggled through, but there are things that you can do that can help. One thing you shouldn’t do is head straight to the doctor for a prescription for Percocet or some other narcotic. That ends up being a dead-end path, and fortunately I was wise enough not to take that step. The problem with narcotics is they suppress all of the natural pain-fighting chemicals in your body, called endorphins. If you’re taking narcotics to deal with pain, you actually lower your pain threshold, so it takes less and less and less inflammation in your system to end up having more pain. You end up hooked on them, and it’s really a dead-end course. There are, fortunately, some other alternatives. Probably one of the better ones out there is CBD, which is a derivative of cannabis. Not the marijuana form of cannabis — the hemp form of cannabis. Hemp has CBD instead of the euphoric THC, so it doesn’t have the habituating properties and it calms pain receptors in the body, so it does have some really nice pain-relieving effects. It’s not habituating, it’s safe, and it’s legal in all 50 states according to state law. It can be shipped across state lines, so you can buy it over the internet. There are tinctures, capsules, and different kinds of products that can be used. It’s definitely worth trying. But ultimately what you need to do is address the causes of the pain. The causes of the pain are inflammation in the body driven by immune dysfunction and low-grade microbes, and the disruption of the microbiome in the body. Address those things — what I found that addressed them the very best was herbal therapy. In addition to CBD, there are many herbs, like turmeric and others, that can suppress inflammation, suppress the microbes, and restore the ability of the immune system to function properly. Ultimately, that’s what helped me overcome the pain — dealing with the problem, not covering up the symptom.